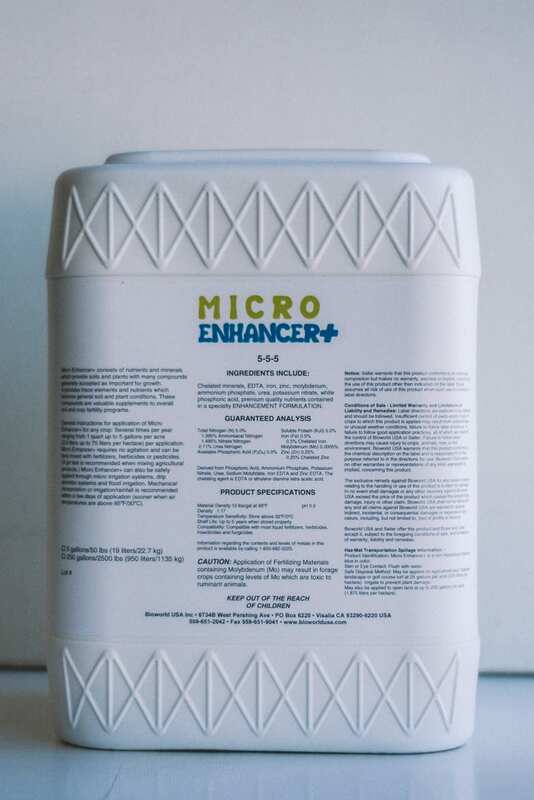 MICRO ENHANCER+ provides the proper bioenhancement nutrients, vitamins, minerals, and other compounds required by soil microbes and plants. As billions of microbes rapidly reproduce and thrive, the soil is rejuvenated. Healthy soil produces improved plant health, better nutrient conversion and uptake, better water penetration and holding capacity, better soil tilth and structure, and increased crop quality and yields. MICRO ENHANCER+ enhances other soil and crop fertility inputs. 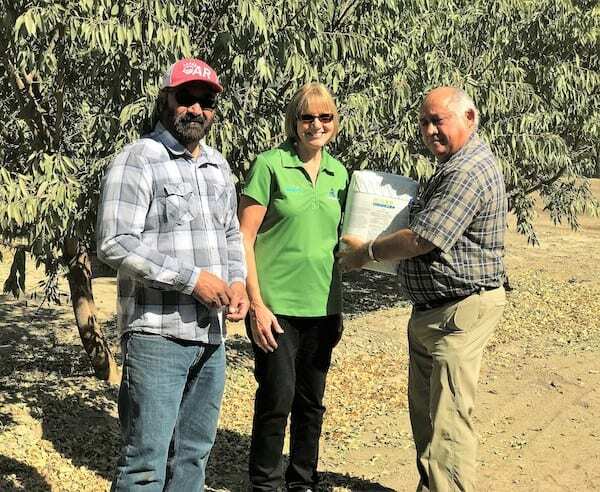 For all crops including row crops, field crops, fruit trees, nut trees, vineyards, nursery stock, flowers, and ornamentals. Also, great for golf courses, sports turf, landscape, gardens, and houseplants. MICRO ENHANCER+ is easily applied with bulk fertilizers, herbicides, or through irrigation systems. Application rates are crop dependent at rates from 1 quart up to 10 gallons per acre per year.